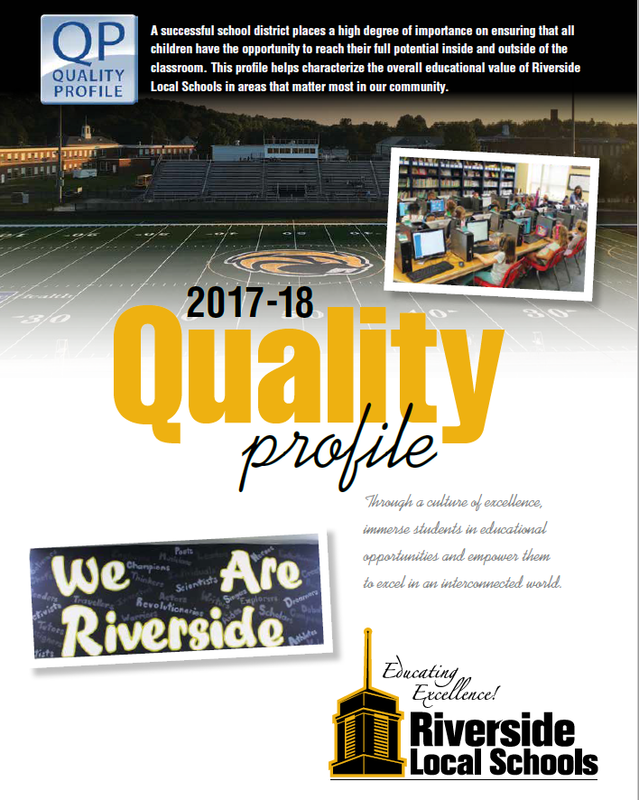 Riverside Local Schools, along with dozens of other school districts throughout Ohio, have released its Quality Profile. The Quality Profile is a more comprehensive companion to the state’s district report card and includes additional accountability measures that define a high quality education that are not captured by the state report card. This document helps to evaluate the effectiveness of a school district beyond standardized testing measures. The content is based on six categories: academics, arts, student leadership and activities, fiscal stewardship, parent and community involvement and student services. The Quality Profile can be viewed here.